The Township of Scio, Michigan is a place where people escape from the big city to enjoy a quiet, small town life. Scio Township is located west of Ann Arbor and locals enjoy having access to big city amenities, college sports teams, beautiful natural areas and a thriving arts and music scene nearby. The number of homes for sale in Scio Township is growing to meet the demands of people who move here to get away from the big city noise but still want to enjoy easy access to the culture and amenities. Scio residents take their green and open spaces seriously and work to preserve the natural, beautiful surroundings. The Huron River, located north of Scio, is a popular attraction for boaters, anglers and those who want to take a dip during the hot summers. Dexter-Huron Metropark is one such attraction with 122 acres of picnic areas, fishing spots, kayaking activities and a softball diamond. Locals only have to take a short drive to spend the day on the water at one of the many lakes north of Scio Township like Portage Lake, Bass Line Lake and Silver Lake. Scio’s close location to Ann Arbor and pleasant location in Washtenaw County means residents enjoy the thriving arts and culture scene that living in this area affords. There is always something to do on the weekends year-round, such as ice skating, farmers markets, arts and music festivals, parades and car shows. For those looking to relocate or buy homes for sale in Scio Township, there are over 18 subdivisions and housing communities to choose from. Many of these subdivisions are located along the area’s beautiful and gentle rivers with views of wildlife and natural areas. Golfers appreciate living in the Polo Fields Subdivision and having immediate access to the Polo Fields Country Club for a round of golf or socializing. Other subdivisions with homes for sale in Scio Township are close to upscale shopping and dining and have their own individual styles of homes from large upscale single-family homes to smaller cottages. Commuters and travelers have only a short distance to drive to nearby communities with I-94 to the south and Highway 23 to the west. 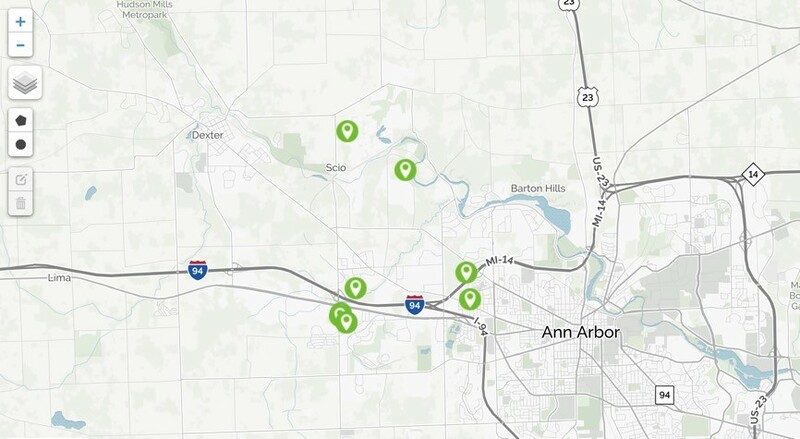 Ann Arbor has an Amtrak station nearby and Detroit is just a short drive away for domestic and international flights. If you are thinking of touring homes for sale in Scio Township or just want to check out the community, make an appointment with a Realtor and talk to them about how you can buy a home in this charming community.